U.S. Veterans can use their GI Bill® towards a tech education at Code Fellows! We've repeatedly watched military veterans become great coders. They have the drive and discipline they'll need to succeed in an ever-changing industry, and don't want to wait two or four more years before launching a new career. Through our certification by the Veterans Administration to accept the GI Bill®, we hope to make the career transition much easier for veterans, while equipping them for high-paying, highly rewarding jobs in tech. Why Use Your GI Bill® at Code Fellows? 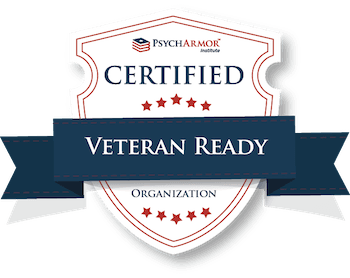 We specialize in fast-paced, immersive education, a format that mirrors the training that veterans—many of whom already have technical training—have experienced already. On average, our grads get hired 11 weeks after graduating, with a starting salary of $70K. Veterans, with their leadership skills, decision-making ability, and discipline, already have the mentality and grit that it takes to succeed during and after a coding bootcamp. Combining this with our career-ready technical training and career development workshops, veterans are set up for success in the workplace.